Originally designed for high-production automotive manufacturing, Toyoda grinders excel in the most demanding applications. Our grinding machines legacy is founded on the TOYODA STAT® BEARING, FLOATING PLATE BALL NUT and CONVERSATIONAL CONTROL. These patented technologies optimize performance of Toyoda grinding machines and long-term machining accuracy. 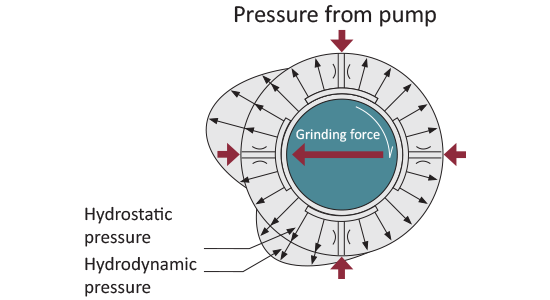 SPINDLE AT REST - Static pressure holds the wheel firmly at center. 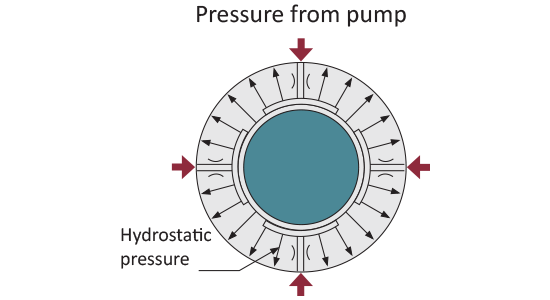 DURING ROTATION - Combining hydrostatic and hydrodynamic pressures improves rigidity and vibration dampening. 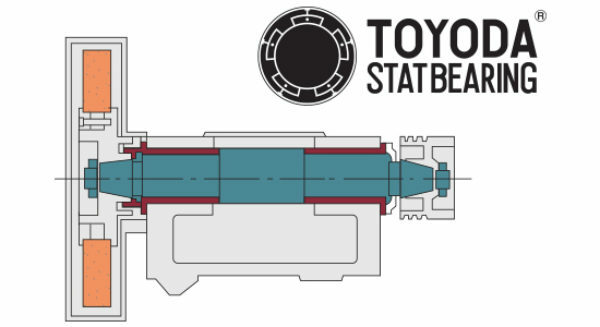 Toyoda’s floating plate absorbs movement in the ballscrew to maintain grinding accuracy and positioning. Our grinding machines uses Toyoda's own conversational controls. In a convenient touchscreen panel, operators are able to program at the machine.